Your satisfaction is how we measure our success. In order for you to be completely satisfied we must first fully understand your business requirements and goals. That’s why we begin by listening carefully and continue to listen throughout our relationship. Once we understand how you want to run your business today and in the future, we advise you on strategies for using technology to improve your business processes and maintain your competitive edge. Implementing your vision for your business requires detailed specifications. We work with you to specify a system that’s right for you and we excel at molding your needs and vision into a detailed requirements specification. Once we know exactly what you want, we create a comprehensive design document that details all the steps and features necessary for making your ideal system a reality. For common applications such as picking, we will adapt one of our existing framework templates to meet your requirements saving you time and money. For unique applications, we will leverage the many features found in RFgen’s Mobile Framework to implement your system on-time and on-budget. 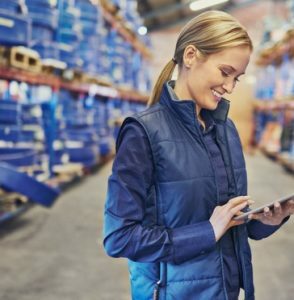 Whether a common application or a unique application, our team of skilled software engineers and supply chain consultants will configure your new data collection system quickly and efficiently. We keep your system running reliably, day after day and year after year. Your applications and your data are protected by our state-of-the-art technology. Our expert IT professionals, supply chain consultants, and programmer support technicians are only moments away. As you grow we make sure that your system grows with you keeping your business productive, secure and satisfied. 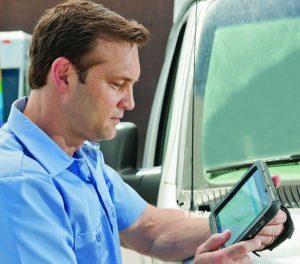 As Microsoft Windows CE is in the process of being replaced by the Android operating system, there is a growing interest in utilizing consumer-grade devices like tablets and smartphones in various distribution and service operations. To help you integrate these new devices and multiple technology platforms into your operations, RFgen now features offline Android and iOS applications. With these new game-changing enhancements, we’ve named this new version of our mobile technology, RFgen’s Mobile Unity Platform™ as it provides a unified user experience and seamless interoperability regardless of operating system or mobile device type. 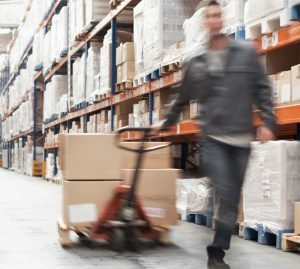 If you have field operations like remote or consignment inventory management, DSD solutions, or field service applications that are impacted by the pending operating system changes, RFgen can be your single source solution. RFgen’s Mobile Unity Platform™ not only provides the same fast and reliable applications in the warehouse, but now gives you the ability to upgrade your field workflows while consolidating your technology stack.